AFS from Louise Lintilhac on Vimeo. Something that I have always regretted is not becoming a proficient climber. As a skier, I shrugged off learning rope skills and picked up mountain biking as the summer counterpart to my winter endeavors. When I was about 23 years old, I spent a winter in Courmayeur, Italy skiing on the Mont Blanc Massif and dabbled in crevasse rescue and basic glacier travel skills, but I was inexperienced and my nervousness made it hard for me to absorb the information that I was taught. When I lived in Colorado, I spent many days in the backcountry, but I never really found the need to apply any of those skills that I had learned that winter in Europe. It was when I moved back to Vermont that it became clear I needed to brush up on my skills. Despite what people may think, there are some aggressive ascents/descents in the east, and if you spend enough time on and around Mt. Washington you realize this very quickly. I had been filming with Ski The East a lot on Mt. Washington with my friend Ben Leoni who does not shy away from aggressive lines, and while I knew some basic stuff, I always felt as though I needed to become more knowledgeable about ski mountaineering techniques so that I could be more helpful if we got into a tricky situation. This motivation and the urging of Mammut to have all of their athletes brush up on safety skills got me to thinking about the options I had for improving myself in this area. 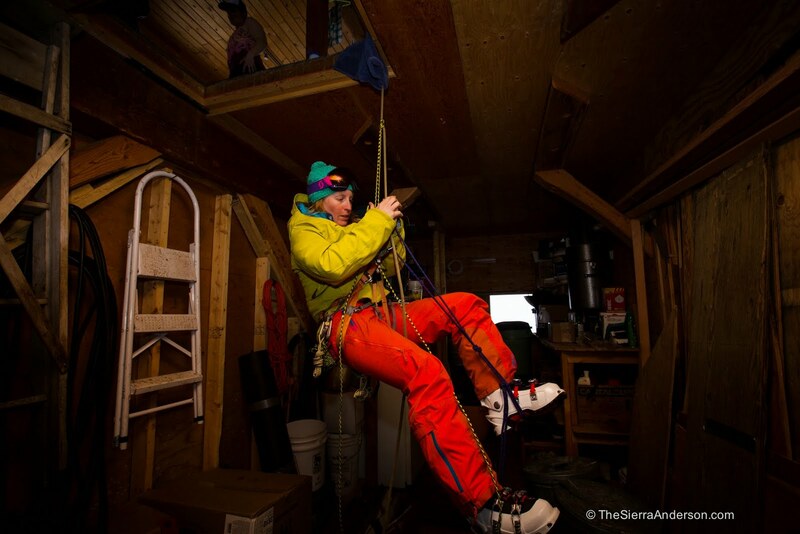 In November I saw a Facebook post about the SheJumps Alpine Finishing School, organized by Claire Smallwood, and decided this was the perfect opportunity for me to learn more about safety, rope skills, and route planning. I have been in many learning environments where I have felt embarrassed by my lack of knowledge and I knew that at AFS I would be among women who had the same goals as me. This allowed me to be able to ask the questions I wanted and needed to ask without the assumption that I should know things based on my experience. 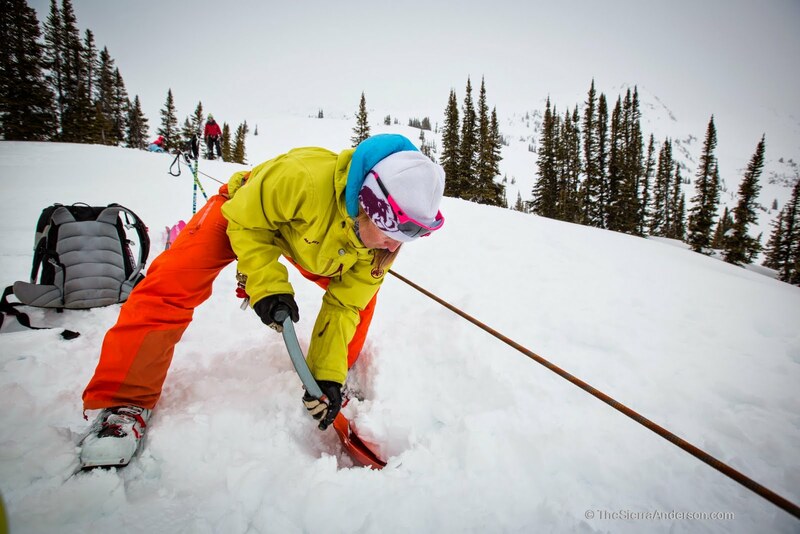 We learned the basics of snow anchors, glacier travel, crevasse rescue, route finding and many other techniques that will be helpful to me in my daily adventures here in the east and around the world. I also was amazed and thrilled to meet all of the other wonderful women that attended AFS this year. There were many different backgrounds and skill sets and I felt that we all complemented and helped each other in the learning process. With our three guides, Diny Harrison, Kate Devine, and Chrisine Feleki, we could not have asked for better teachers. 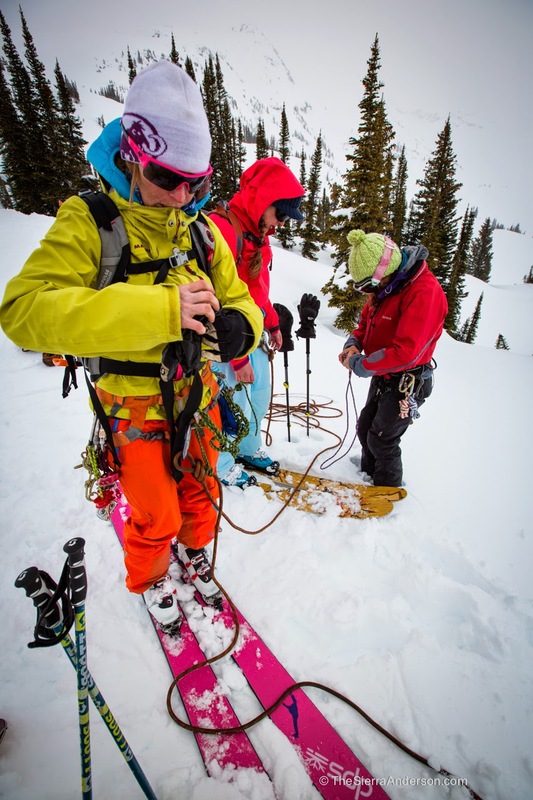 Their breadth and depth of knowledge was astounding and I know that I will now strive to be as composed as they are in the backcountry (although I am sure I will never truly achieve that goal). 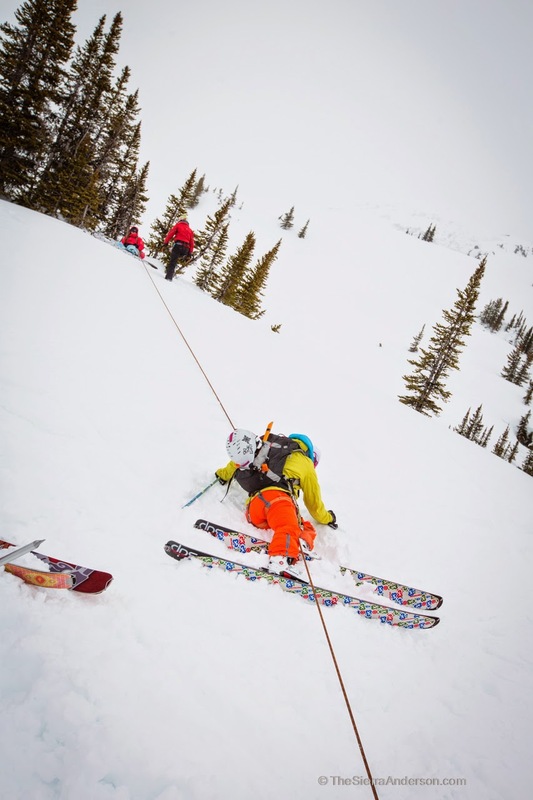 The idea that women can teach women to be competent in the backcountry is not a new thing, but it is rare, and I hope that others who find themselves in my position will take advantage of this amazing opportunity to grow as an athlete and become more self assured in the backcountry. 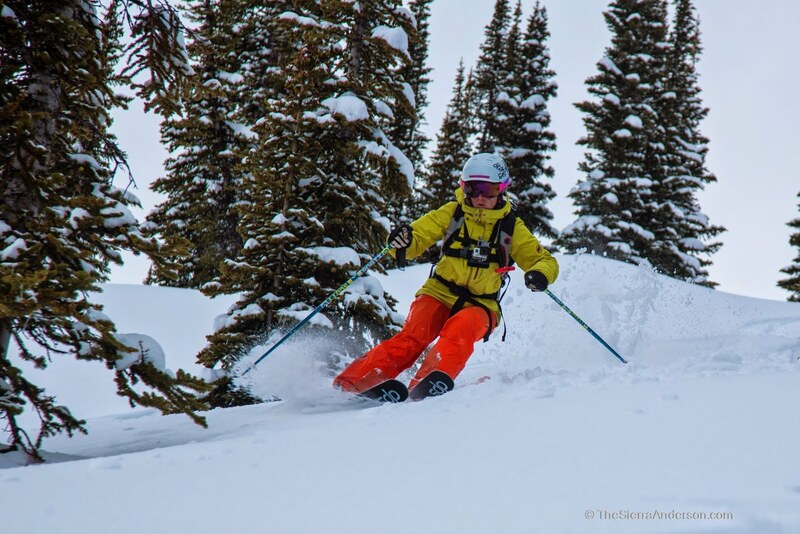 There is no reason to fear the progression of ability and knowledge, it just has to happen in a supportive atmosphere and SheJumps has successfully provided that very opportunity at the Alpine Finishing School. Thank you to all who participated, taught, and helped me in this amazing week. Special thanks as always to Mammut who makes the gear that makes many of these adventurous activities safe and possible. 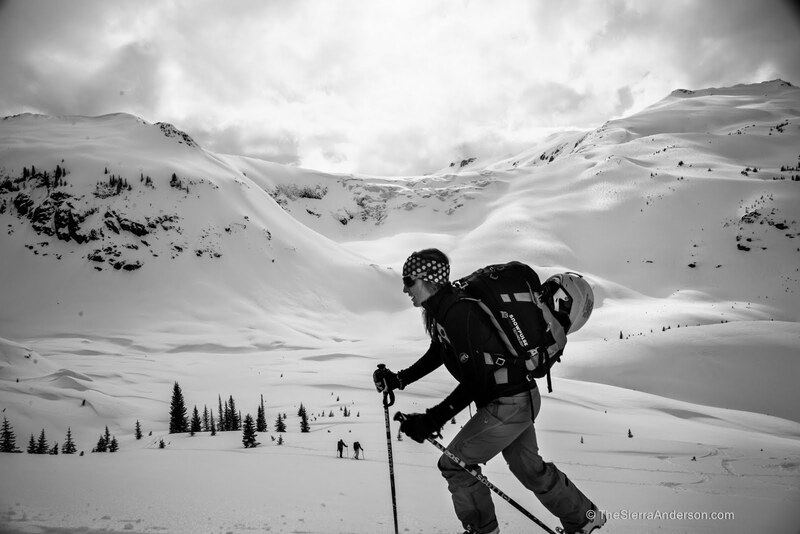 I feel better knowing I have the Snowpulse airpag system, my Element beacon, and many other award winning products that I use in the backcountry.You guys really know what you are doing!